In many cultures we celebrate the day of a girls first period, it symbolizes the passing of childhood to the teenage years and it also means she can bear children now and become a mother. However, most women dread that day of the month because they experience what is known as menstrual cramps. Period cramps are very uncomfortable and though not every woman feels the same intensity of pain, they can certainly be crippling. While menstrual cramps are rarely a cause for concern, if severe they can disrupt regular activities. That’s why we bring you our best homemade remedies to get rid of your menstrual cramps. 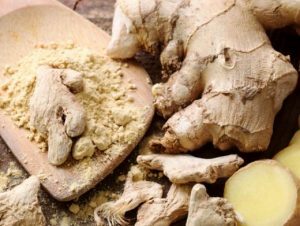 Ginger can effectively ease menstrual cramps. 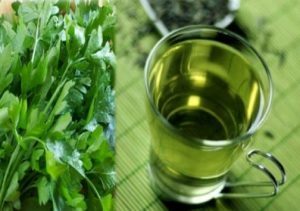 This herb plays a key role in lowering the levels of the pain-causing prostaglandins. It also helps fight fatigue associated with premenstrual syndrome. -Grate a small piece of ginger and boil it in a cup of water for five minutes. Strain it and add a little honey and lemon juice. You can drink this tea up to three times a day during your menstrual cycle. Applying heat on the lower abdomen is the easiest way to control menstrual cramps. It works because the heat helps relax the contracting muscles in the uterus. -Place a heating pad over the lower part of your abdomen and lower back. If you don’t have a heating pad, you can use a regular plastic bottle filled with hot water. -Alternatively, soak a towel in water, wring out the excess water and then heat it in the microwave for one minute. Place it on the lower abdomen until the towel cools. Cinnamon has antispasmodic, anticlotting and anti-inflammatory properties that can relieve menstrual pain. Plus it has great taste. 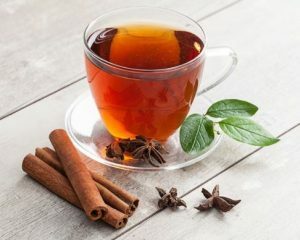 -Make cinnamon tea by stirring one-fourth teaspoon of cinnamon powder into a cup of hot water. -Let it sit for up to five minutes, add a little honey and then sip it slowly. -Dink it two or three days before your period starts to prevent cramps. Fennel also contains antispasmodic, phytoestrogenic and anti-inflammatory properties that can help relax the muscles in the uterus. This will relieve cramping and discomfort. 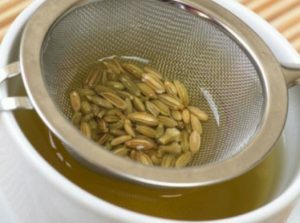 -Add one teaspoon of fennel seeds to a cup of boiling water. -Simmer the mixture on low heat for five minutes. -Remove from heat and strain the tea. -Add one teaspoon of honey and mix well. 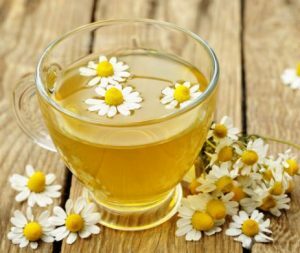 -Drink this herbal tea two times daily beginning three days before the expected start date of your cycle. Basil is another very effective herb for reducing menstrual pain and cramps. The acid present in basil has analgesic, or pain-killing properties. 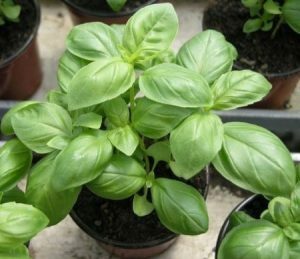 – Add one tablespoon of basil leaves to one cup of boiling water. Cover tightly and allow it to cool. Drink this every few hours to ease cramps. -Bring one cup of water to a boil. Pour it into a cup containing a chamomile tea bag. -Cover and let it steep for 10 to 15 minutes. -Squeeze out the tea bag and add some lemon juice or honey. Parsley contains two compounds, apiol and myristicin, that are highly effective at stimulating the menstrual process and relieving cramps. Parsley is a win-win, it not only help easy your pain but also helps to regulate your cycle. -Put one-fourth cup of fresh parsley in a mug. Pour in one cup of boiling water. -Let it steep for five minutes. -Strain the solution and drink the tea immediately. Let us know how these remedies work four you!